Building on the legacy of its Anthem brand and former WellPoint name, Anthem Blue Cross and Blue Shield has earned the trust of generations of members. Anthem focuses on the common connection that health brings to its diverse membership as it aims to daily encourage and motivate its members to improve their health and live better, longer lives. Anthem plans are available in more than a dozen states across every region of the country. As one of the Nation’s major Medicare providers, Anthem Blue Cross and Blue Shield prides itself on offering plans to complement, expand on, and fill gaps in the Medicare benefits offered to Americans by the federal government through Medicare Parts A and B.
Medicare Supplement Insurance (Medigap) plans provide a means to supplement Medicare Parts A and B for stays in a hospital, nursing home, etc., and the medical insurance for doctor visits, lab tests, surgeries, and more by helping you cover your share of deductibles, coinsurance, and co-payments; by filling gaps in your Medicare coverage and by allowing you the freedom to select the doctor, hospital, and specialists you prefer. Medicare Advantage Plans offer approved Part C alternatives to the Medicare program that typically provide additional benefits. These plans offered by Anthem cover all your Medicare Part A and Part B benefits plus more, depending on your state and the particular plan you choose. Typical examples of added-value benefits are Anthem’s extensive preventive care coverage, wellness programs, and prescription drug benefits. These plans come in different formats, including Preferred Provider Organizations (PPOs), Regional PPOs, Health Maintenance Organizations (HMOs), and HMO Dual Eligible Special Need Plans (D-SNPs). They are predominantly branded as variations of the plan names MediBlue, Medicare Preferred, and Senior Advantage. Medicare Part D Prescription Drug Plans strive to make filling your medications as convenient as possible while providing valuable savings on most brand-name and generic drugs at more than 68,000 pharmacies or shipped directly to your home as frequently as you need. This benefit is often available as part of a Medicare Advantage Plan, but it can also be obtained as a standalone plan to go with Medicare Parts A and B. Anthem prescription drug plans are branded as variations of the plan name Blue Medicare Rx. 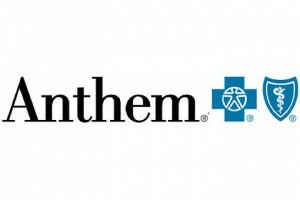 If you are interested in learning more about an Anthem Medicare plan you can call a licensed sales agent at Medicare Solutions at 844-839-0813, TTY 711.